Like her or loathe her, if Kim Kardashian wears your brand, it's safe to say you've hit the big time. The 37-year-old has shared a photo - which has sparked huge debate - of herself in a pair of bike shorts from sportswear company 2XU, founded by a Kiwi and two Australians. While the internet rages over whether or not the image is appropriate - Kardashian is in the process of removing her bra when daughter, North, captures the shot - it's also a coup for 2XU, given the reality TV star has 107 million followers on Instagram alone. And it's not the first time the brand, started up by a trio that includes former Kiwi triathlete Jamie Hunt, has had something to do with the mega star. Hunt told Newstalk ZB West got in touch just 10 days before the event. "We got an email, saying 'Kanye owns some of your product', which was a shock," he told Newstalk ZB. "We had 10 days to design it, get it manufactured in Asia, and then shipped to New York." The result was a 2XU compression wetsuit that West paired with heeled boots and an oversized, preppy cardigan. While Hunt knew who Kanye was, he said at the time he hadn't anticipated just how big the exposure would be. "Honestly, I'm a 44-year-old father of three daughters, so I know who he is but I didn't realise how big it actually was. "When it came out I was having dinner with my daughters, and the first things they posted on Facebook was 'Dad we're so proud of you'. 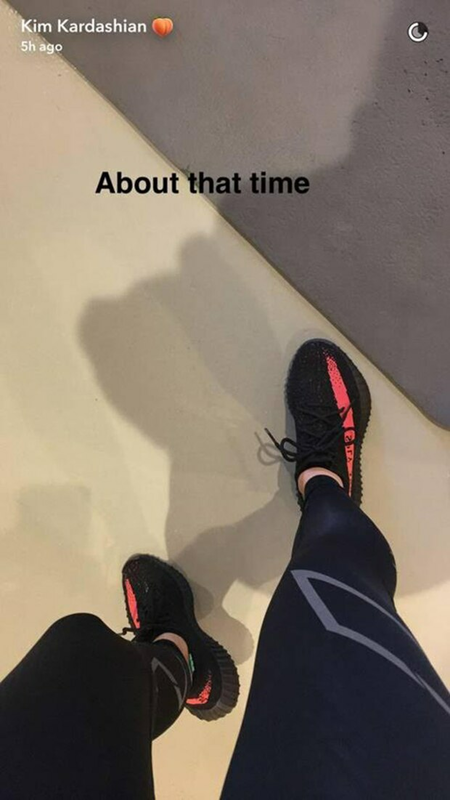 "After all the things I've done in my life, they're finally proud of me because of this one thing,"
And while 2XU is now focusing on deals with other "massive" names, in the year since the label appeared on the Yeezy runway, it appears Mrs Kardashian-West has taken quite a liking to the brand. She's been spotted numerous times sporting the active wear for all her "fitspo" followers to see.